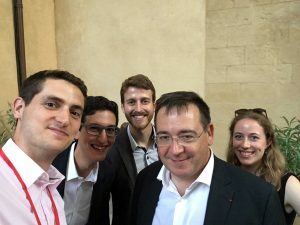 As part of the Startup initiative, initiated 5 years ago at the Rencontres Économiques, this year – and for the first time – Bpifrance and the Cercle des économistes are combining strengths and worlds-of-thought to push for a value-creating opening ​​towards new actors of transformation: Startups. 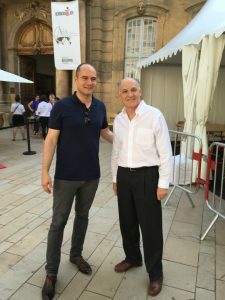 In addition to local startups invited by Pays d’Aix Développement, Bpifrance will select startups from all over the country to create an “innovation walk” on the Robert Schuman boardwalk. 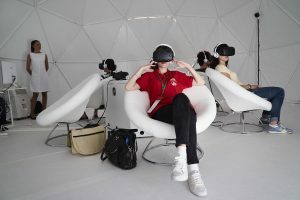 The startups will offer demonstrations of their innovations and experiences to the public of the Rencontres Économiques. This exhibition will offer a technological approach to the World’s Metamorphoses thematic. Bpifrance will share results from its teams’ efforts with maps and diagrams of the “Tomorrow” project. The Rencontres Économiques will host, in several of its Saturday sessions (on July 7th, 2018), a quick presentation of innovative solutions attempting to address the variety of economic issues addressed in the program. Entrepreneurs, we are waiting for you for the 2018 edition ! To continue to facilitate meetings with speakers, the start-ups of the Rencontres Économiques allow young innovative companies to be directly put in touch with partners and stakeholders of the event. These meetings help foster the development of start-ups by opening up new opportunities, especially with large international groups. Produced in collaboration with our partners and local development actors (Pays d’Aix Développement, Pole pépite PACA Ouest), our goal is to bring in a wide variety of Startups to the Rencontres Economiques. Getting in touch with start-ups: the entrepreneur can submit his requests for contact with the partners and stakeholders he wishes to meet. Coordination of the connections: once the request is accepted, the meeting between the start-up and the partner is organized during the Economic Meetings. A rare opportunity that allows entrepreneurs to directly address the decision makers of major French and international companies.